When it's your boyfriend's birthday and you're a professional video producer, what do you do? You create the world's cheesiest music video! Just for him!! That's our logic, at least. Let's shout out the roles! We had Zen on video camera. Julia on studio photography. Weenta as talent. Laugh-out-loud! The main concern going into this shoot was whether Weenta would be able to keep a straight face. I must say, once the music started to play, girl got into it. What was the concept for the music video, might you ask? Eritrean pop star! Check out the behind the scenes photos. Happy Birthday, Seth! What inspired us? John Mayer! This John Mayer video is shot on a green screen. Green screen allows you to layer images. For instance, in John Mayer's music video, the many "backdrops" are completely different clips from the clips of John Mayer. The "backdrops" are added later in post-production. As one may be able to imagine, you can get very creatively cheesy, very easily with a green screen. At one point, for our music video, Zen suggested that we get "backdrop" at Café Du Monde. We didn't get the Café Du Monde shot. Weenta and I realized we have amassed so much beautiful, conventional, and yes, when applied correctly, cheesy New Orleans footage from our many years of video production. No need for more. Update: Weenta took Zen's advice. The final music video DOES include "backdrop" footage of Café Du Monde, shot by Weenta. Now, drum roll!!! Here's the final video! Look here. 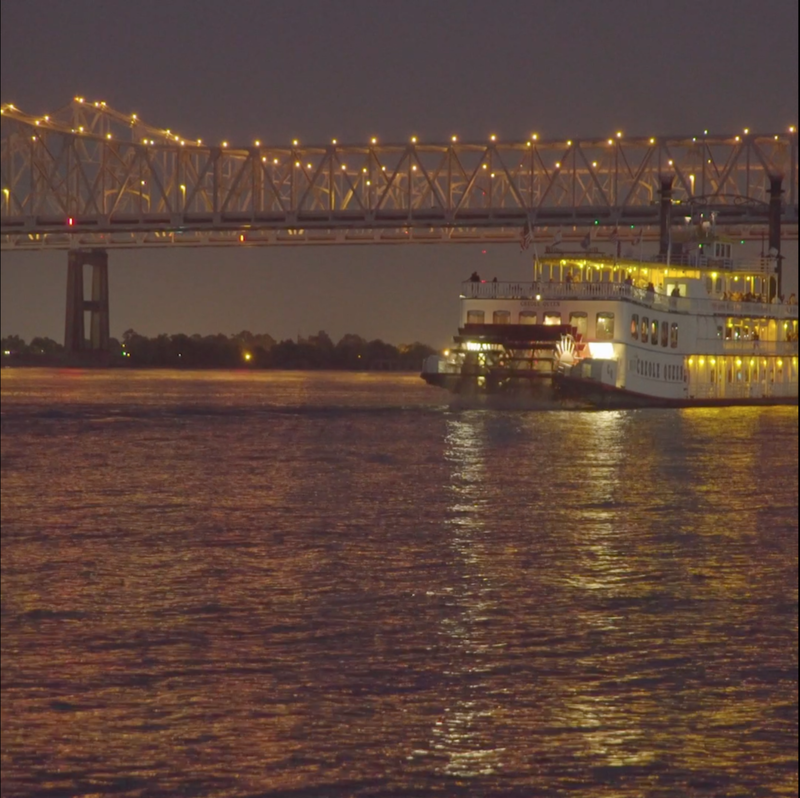 Now, for this week's Instagram videos, we have 3 tiny, NON-CHEESY videos featuring the New Orleans-famous— Steamboat Natchez. We captured this footage last Friday. When applied as a series of images that DO NOT include Weenta lip-syncing as an Eritrean pop star, the footage looks exquisitely dreamy. Our wonderful camera operator, Zensuke Omi!! We're in the middle of the mad, mad summer. The heat is real, but it ain't a killjoy. The fun is real, too! Go create your own fun!